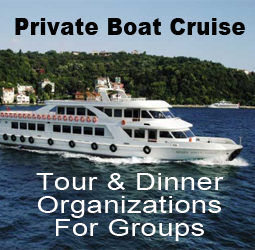 This Boat is available for private rentals for groups. 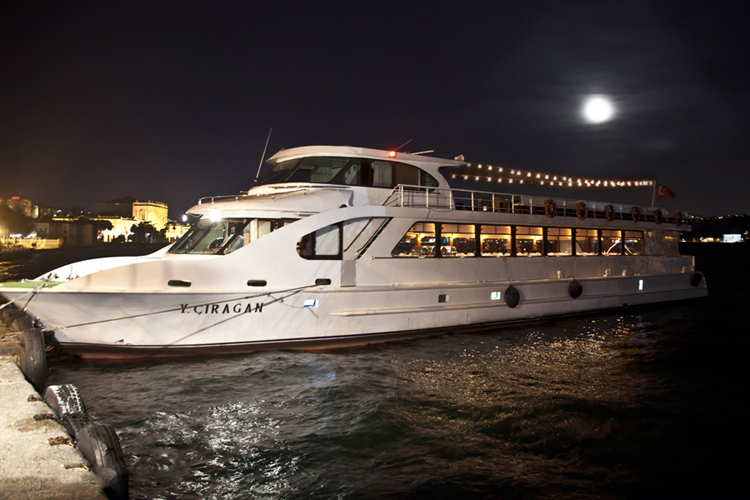 We organize half or full day guided tours, cocktails and dinner cruise on the Bosphorus. We can also organize any kind of organization according to your needs. 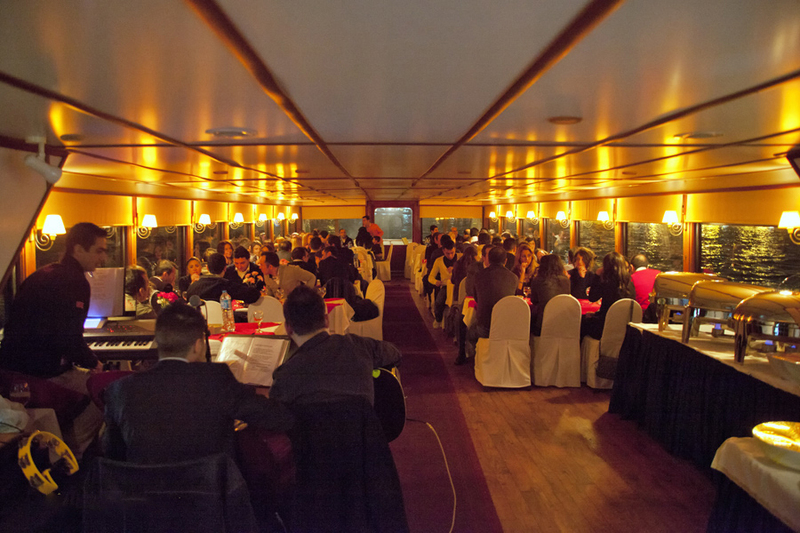 Our boat Symphony with its size, quality and comfort is one of the most ideal cruise boats of bosphorus for weddings, engagements, business meetings and all kind of meetings. Our Boat, as the external view has such a nice and proportionate view that someone who likes these kinds of boats stands in front of her minutes without getting bored and watches our boat. 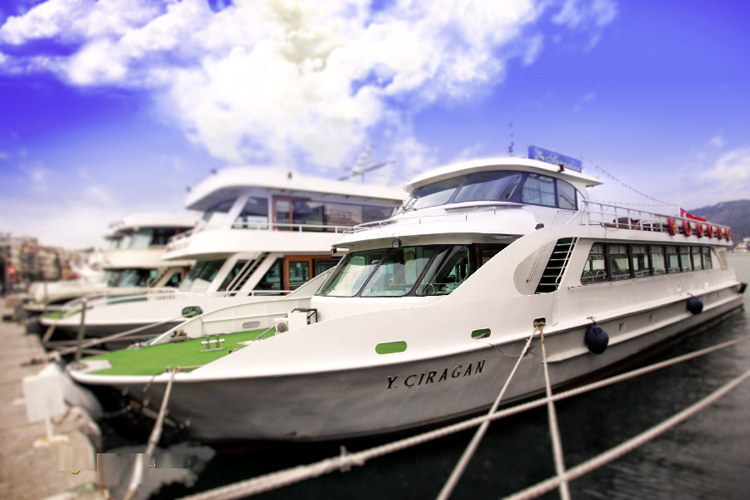 The upper deck of the boat, is extremely comfortable when travelling, it was designed as a place where you can properly enjoy all the beauties of Bosphorus and Princess Islands. this deck also is suitable for coctail layout. The spacious hall in downstairs was decorated to convert an unforgettable pleasure of a buffet or a la carte meals. when watching the charming atmosphere of bosphorus from the large windows, you will enjoy sipping drinks and magical moments shared with friends turn into unforgettable memories. 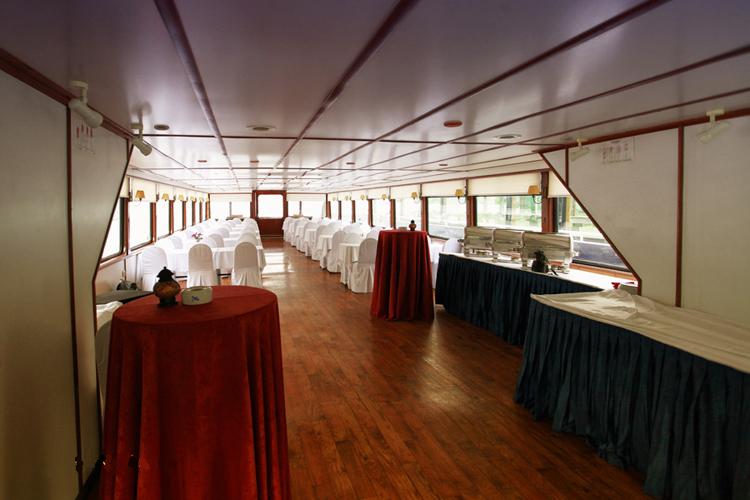 The rear deck of the boat was designed to make the most comfortable voyage. 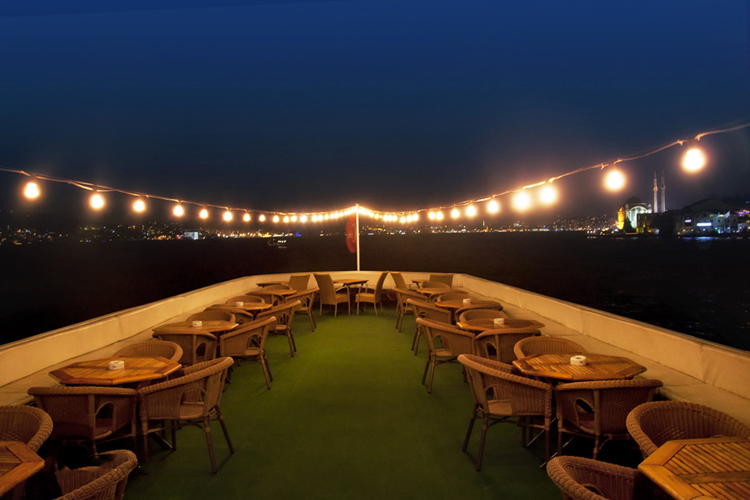 when the need arises, 30 pax can have supper in this deck, and normally it is a loophole to take a breath away from people, to stay with calmness of bosphorus. You will be picked up from your hotel btw. 19:00 and 20:00 to transfer to the yacht. 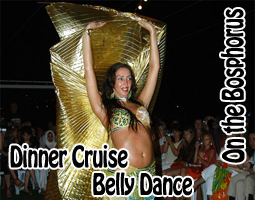 - 4 Hours Bosphorus Cruise. - Two way tranfers from your hotel.